A spot of croquet anyone? The immaculate lawns of Mayfield Garden, Oberon. Beyond the Blue Mountains nestles a garden of significant beauty and ambition that’s enough to turn the blackest thumb into an ardent admirer of the art of horticulture. Lara Picone finds herself more than pleasantly surprised by Oberon’s Mayfield Garden. Natives were a particular favourite of my father’s, and to this day, the site of a grevillea can make me feel irritable. Back then there wasn’t much to keep a kid entertained, horticulturally speaking. If a chicken made an ambivalent appearance, that was a highlight. It always felt like punishment, especially as Mum dressed her three daughters in matching pastel tracksuits embroidered with native animals on what can only have been some sadistic whim. But I was missing the point entirely. Gardens are a canvas for imagination, an artistic endeavour that you can physically shape and influence with your hands. They can become a site of sheer joy, not just for the gardener, but for those who come to stroll among what are essentially, living, three-dimensional paintings. I’ve learnt to appreciate, admire, and love gardens in my adult years. 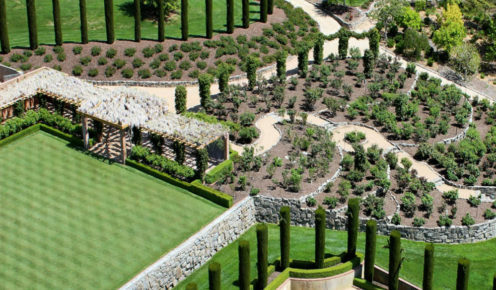 From the gardens of the Alhambra in Spain’s Granada to the lovely Mount Tomah in the Blue Mountains, and I’ve even considered heading to Canberra for Floriade of my own volition (sans tracksuit). Recently, there was one garden I encountered that took me by complete surprise. Its scale, loveliness, and very existence was something unexpected. 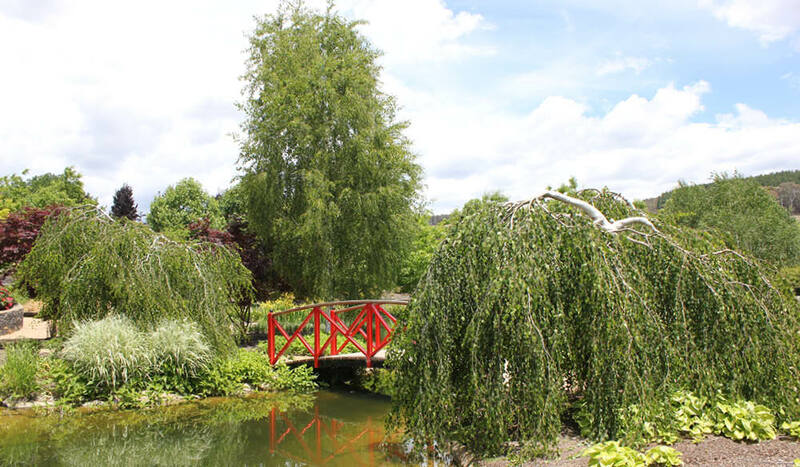 Mayfield Garden in Oberon is a relatively short drive from Katoomba in the direction of Bathurst. And while I’m sure this isn’t the case in gardening circles, it is, oddly, largely unknown about on the Sydney side of the Bells Line of Road. It might sound hyperbolic but Mayfield Garden is a hidden gem, as much as you can hide 64 hectares (160 acres) of European-style gardens. 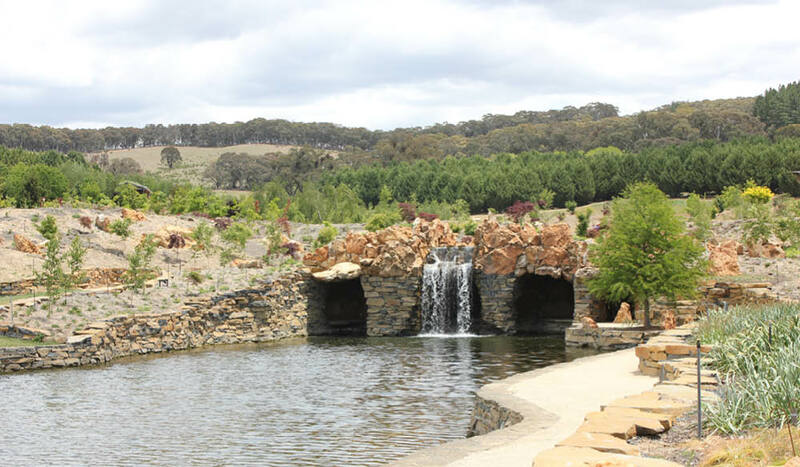 Set on a working farm of 2025 hectares (5000 acres), Mayfield is the largest privately owned, cool-climate garden in the world and has been the labour of love of the Hawkins family, particularly investment banker Garrick, since the 1990s. The gardens are continually evolving, and of course, painstakingly maintained by about 35 locals of all trades ranging for stonemasons to horticulturalists, with an additional 30 or so employed in the cafe, marketing, accounting and retail. As I jump in centre director Heath Smith’s ute for a quick lay of the land and a whirlwind tour of the Hawkins’ family private gardens (which are only open to the public four times a year; the rest of the gardens are open 363 days), he tells me there are 5 to 6 gardeners dedicated to 10-hectare patches. As a former restaurateur of much-loved Bathurst institution Cobblestone Lane, Heath was well acquainted with Garrick Hawkins, who would patronise the restaurant. Heath tells me how Garrick was always trying to get him to visit his garden, “I kept putting him off, saying ‘yeah, alright mate’. 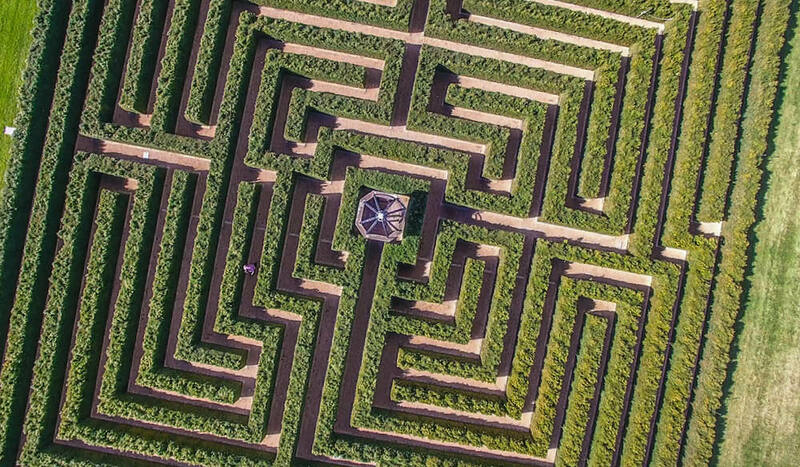 I thought to myself, ‘they’re just gardens!’.” Eventually Heath made it over to Mayfield, was completely won over by the scale and obvious passion of this hobbyist gardener, and never looked back. Of course, passion alone doesn’t amass meticulously manicured acreage. You also need substantial cash and plenty of manpower, but to turn the gardens into a true destination, he needed the help of someone who knew how to create buzz, reasons to linger, and spaces to do so. Since Heath and CEO Hamish Keith came onboard, Mayfield has grown from a place where gaggles of gardening clubs would disgorge from coaches in wide-brimmed, floppy hats and sensible footwear, to a place where city escapees come for a weekend lunch in the Café & Produce Store or to attend one of the many events held throughout the year. Garden strollers have surged 58 per cent, and there’s now a steady stream of visitors who come simply to enjoy a long lunch. The cafe is a place to sip on a cocktail and linger over a venison ragu, with all ingredients sourced either from the gardens or locally. It’s not a place where octogenarians count out their coins for a stale Devonshire tea. And that’s where Heath has divined a way to tread the trembling tightrope between legitimate horticultural enthusiasts and regular punters who don’t have the slightest interest in the biological genus of a lily. You can come for the plants, purchase any cuttings you’ve seen from the garden in the nursery, and stay for the venison. Or, you can come for the cocktails and stay for an impromptu picnic in the gardens, and maybe take home a plant you can use in DIY cocktails. But don’t think you can come to Mayfield and whizz around in one hour. You need time to wander aimlessly about admiring the dedication and work that has gone into each section, frustrating your children in the process. Actually, that last part isn’t necessarily true. All the kids I saw were having a pretty great time using the garden to fuel their imaginations. The mini gardens within Mayfield are rich, fantastical fodder for play, from the Copper Tree Fountain, to the Grotto, which could conceivably harbour trolls, to the Stone Bridge that could be the preferred vantage point for a princess on the lookout for her knight. Even the Valley of Five Ponds sounds like a good place to hide from bad guys. You can play bocce, croquet or chess, and there are even chickens. Next time you’re in the area, pile your children in the car and bring them to Mayfield. But unlike my own childhood experience, I wager that once here, your children’s pleas won’t be to leave, but rather to stay, just a little bit longer. 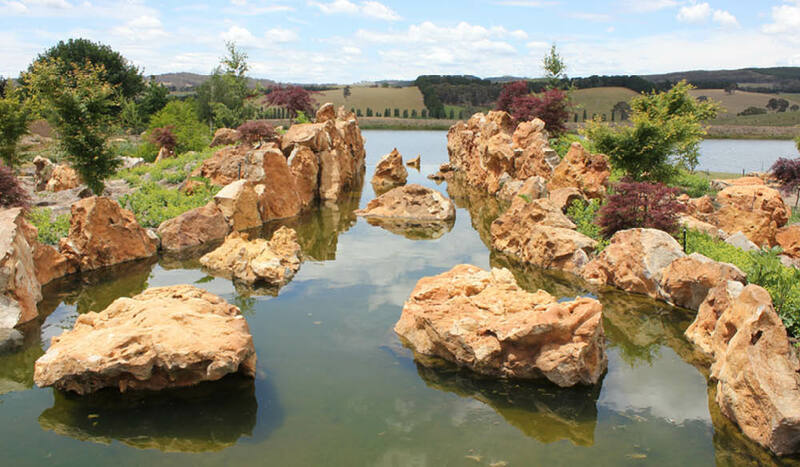 Getting there: Mayfield Garden is in Oberon, a 2-hour and 40-minute drive from Sydney. Or an easy 40 minutes from Bathurst. Staying there: This spring, Mayfield is letting garden-goers sleep on site with their new glamping experience. Visit Glamping in the Garden for more details. 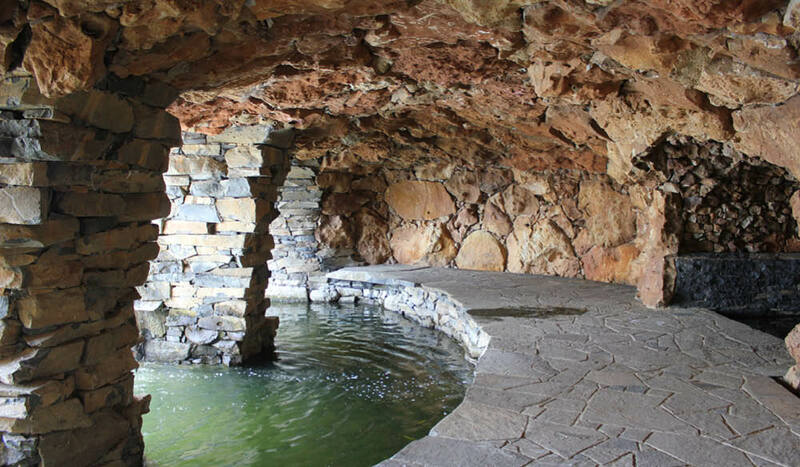 Alternatively, make it a daytrip from Katoomba or Bathurst, or stay at Historic Hartley village, just an hour’s drive away. Playing there: Mayfield Garden is host to plenty of events throughout the year. Coming up is a White Party (24 February), and the Gateway to Garden Run (4 March). Eating there: Of course, you should enjoy a long lunch at the on-site cafe, but if you’ll be hanging around for a few nights, it’d be remiss of you not to make a booking at the impeccable Cinnabar at Blackheath.